With such a busy schedule, I always look forward to having a relaxing night in & want to spoil one of you with one too! 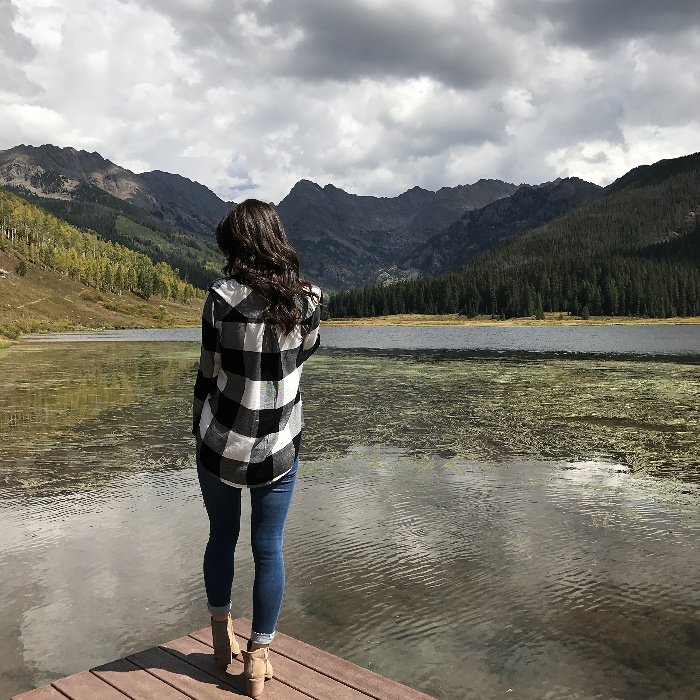 I'm finally getting around to sharing some pretty views & tips from our day at Piney Lake in Colorado. If you missed the other hike we took, you can check it out HERE. We have been to Colorado twice, and both times were for snowboarding, so it felt like a different world going and there not being snow everywhere. I LOVE to travel! My husband and I say we work to travel because if we have any kind of stretch of time off, we pack our bags and run out the door- literally. So last minute. Don't you just love long weekends?! I wanted to share a list of great sales going on including this dress that also comes in a floral print.